Do you have trouble sleeping? Low back pain? Congestion? Restlessness? Fibromyalgia pain? Acid reflux? Breathing problems? Snoring? Wilson Furniture can help. Wilson Furniture is proud to feature Serta mattresses made in Cincinnati, Ohio. We have a large selection in stock and available for quick delivery. Choose from plush, firm, extra firm, and super pillow top mattresses. We display two iComfort Memory Foam mattresses—with a a 120 sleep trial. For four decades the Wilson Family has provided home furnishings to this community. Wilson chooses to provide sleep products by Serta® because the brand has consistently made investments into innovative features that provide the highest level of quality, comfort and safety possible. So, whatever your stage in life, Serta® has the mattress to fit your needs. Come see us and find out if a Serta® mattress may be just what you need for a perfect night’s sleep! 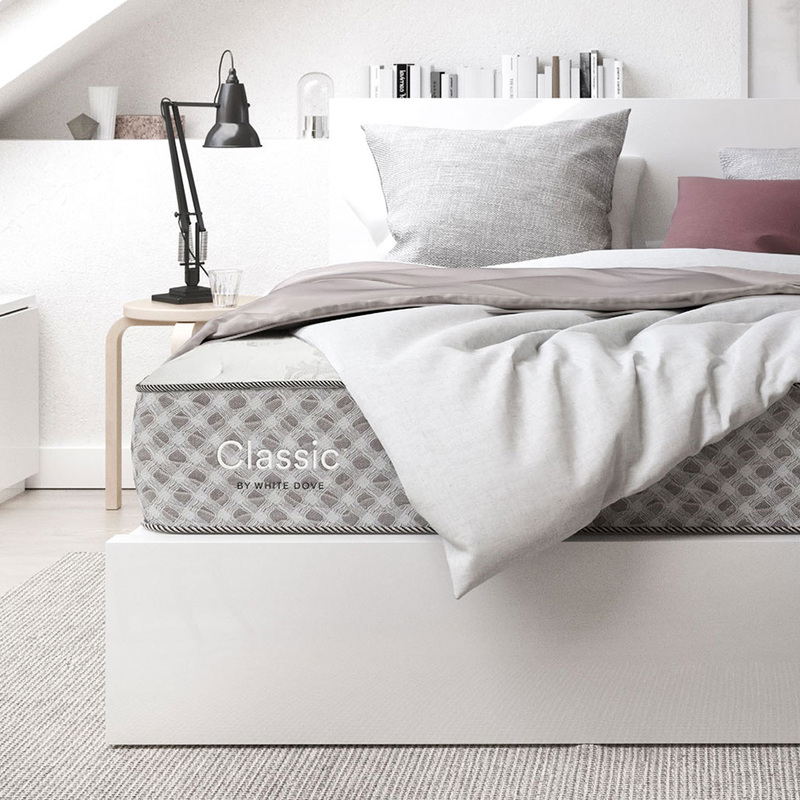 Duality by White Dove provides all the comfort, quality and durability of the White Dove Classic Collection with the added flexibility of a two-sided sleep surface. Experience the contouring feel of high density foams blended with a range of supportive innerspring systems atop specially crafted Amish built wood foundations. The two-sided sleep surface offers flexibility and continued balance of comfort ensuring long-lasting durability and superior support. The Duality Collection features a foam encased inneract zoned innerspring system and high density foams. Experience another side to sleep with a White Dove.